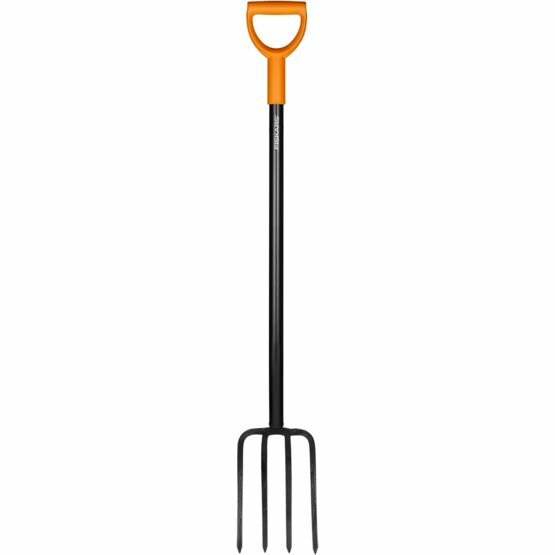 The garden fork is the perfect digging companion to the spade in its ability to aerate and loosen soil and to work the compost heap. This standard Solid gardening fork with its rigid construction, stiff tines and steel build will give you years of service in the garden. Use also for aerating the lawn or raking out stones and weeds.